See the Spirit of a caring retirement community. 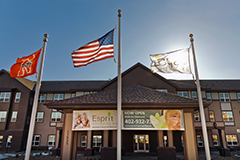 We invite you to discover all we have to offer your loved one at Esprit Whispering Ridge Retirement Community. Schedule a tour by filling out the form below.